Click to view any upcoming events by Newcastle and Hunter Jazz Club Inc. 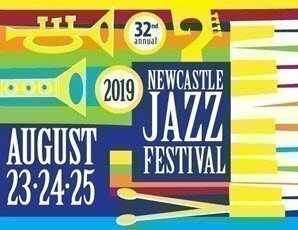 The 24th – 26th August 2018 sees the staging of the 31st Newcastle Jazz Festival. The festival is the Hunter’s longest continuous music festival, and follows on from the very successful 30th Birthday Jazz Festival in 2017. The first festival was held in 1988 as part of the NSW Bicentennial Festival of Music. The festival has been held every year since due to the work of volunteers from the Newcastle and Hunter Jazz Club. Funds to run the festival come from fundraising in the year prior to the festival and a large festival raffle. The festival will bring more than 40 bands and orchestras across the weekend. A wide range of jazz, blues and swing will provide patrons with a smorgasbord of choice. More than 100 local musicians will take part including Andy Firth one of Australia’s best jazz clarinetist. The venue is the fabulous Wests Leagues Club and Bowling Club where music will be on four stage areas across the weekend. The Wests Club has a large bistro, 3 coffee shops and a number of specialty restaurants to cater for all tastes.